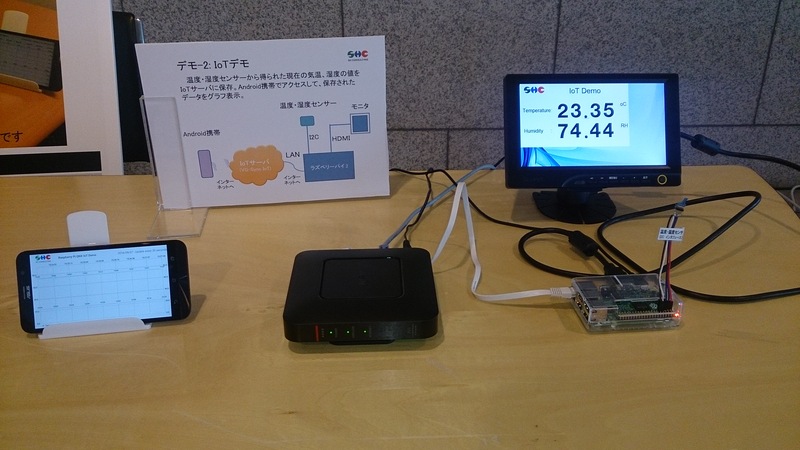 IoT system Demo using Raspberry Pi 2 with QNX at The Japan QNX/Blackberry Technology Solutions Forum at September 8th, 2016. It is running Raspberry pi 2 QNX BSP-Multi interfaces package on Raspberry Pi 2. – I2C driver: Get temperature data and humidity data from sensor. – Display driver: Display temperature data and humidity data on Monitor connected with Raspberry pi 2. 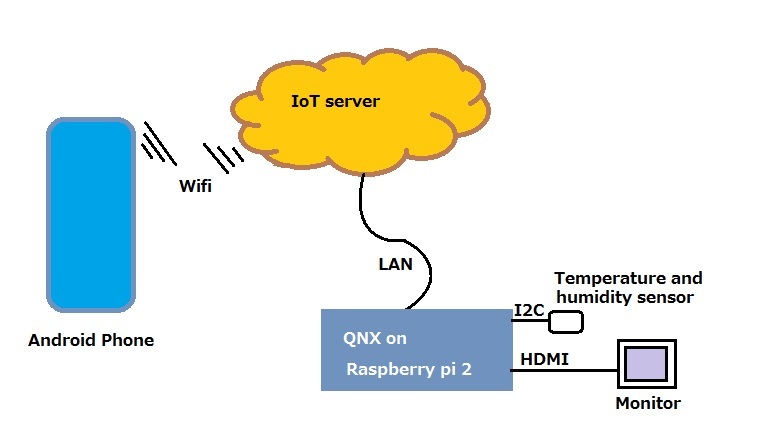 On the other hand, Android Phone application get information from the IoT-server and make plotting.